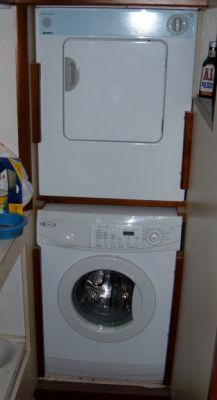 This photo shows the top of the existing washer/dryer combo unit. 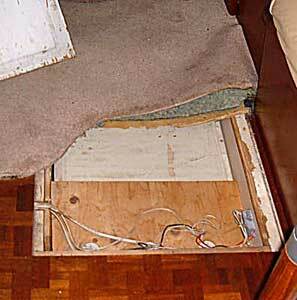 This hatch is in the main salon under the dinning table, and is the access for removing the combo unit. This is the combination washer/dryer unit that came on the boat. It works when it wants to and does not always empty the water. 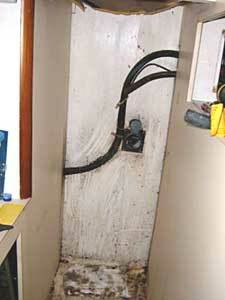 We felt it was best to remove it now and install a new one rather than have that hassle later. Also, we plan on doing something slick with the salon floor that we would not want to disturb for a long time. The old unit was questionable. It did not always drain properly or finish a cycle. This picture shows the space for the washer/dryer unit. They were framed! 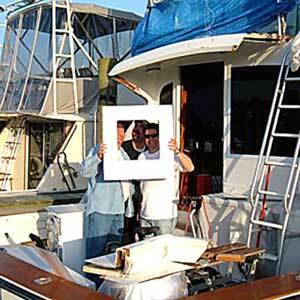 Mark and his son Michael were supposed to help me, but they pretty much did the heavy work themselves. They removed the old washer/dryer combo unit from the boat; then moved the new washer and dryer from my truck into the boat. Thank you, thank you, thank you! We opted for a front loading washing machine that we could then stack a dryer on top of. 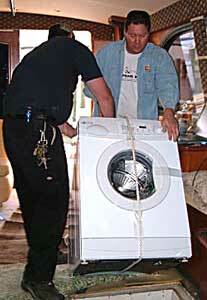 Front loaders use less water and will actually wash more clothes in a load then top loading machines. This unit was very heavy! I am in the laundry room (below) as Micheal and Mark lower the unit down to me. 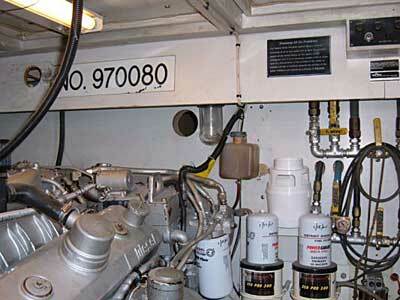 The right side of this photo is the bulkhead between the engine room and the laundry room. The left side is the port 8V92. 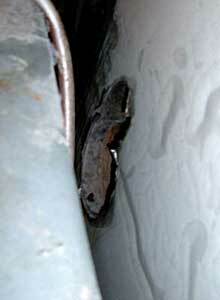 The previous dryer vent emptied directly to the front of the motor. In addition, air needed for the dryer use to come from the smaller hole above the vent, thus pulling engine smells into our clothes. A new vent hole that will be more accessible in the engine room was drilled. 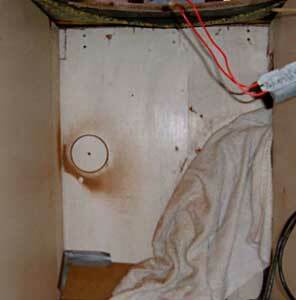 This photo shows the dryer vent hole from the engine room side. The previous hole has been filled. These new front loading units are much more efficient than the previous units.